I would just like to start this short report with some thanks from myself and all the district players who took part this year. 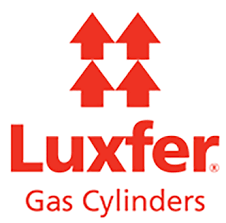 This was the 27th year that the Luxfer group have sponsored this event and we are all very appreciative for their support and hope that they will carry on supporting this event, also many thanks to Ted Tipton for his never ending support and finally to all the staff at Belton Woods Hotel. The district competition is played for once a year, the qualification period is from the end of this year's final to next years final this could be competed by approximately 300 firefighters from all the 12 districts. competition to get the teams gelling. The favourites were West Midlands, North West and Yorkshire and Humberside. Yorkshire and Humberside with 95pts. Second place was London 93pts. Third Place was South East 90pts. There was also some extra comps being played for as well there were 3 Nearest The Pins. 15 Hole Brent Parry Wales this was in Two shots. 0 - 9 Stuart Wolfe 35pts CPO East Midlands. 10 - 18 Mark Davies 37pts West Midlands. 19 - 28 Stephen Lyne 31pts CPO Scotland. player and ending up as London's best Player.